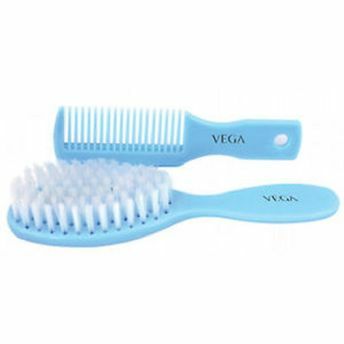 The Vega Baby and Brush Comb Set is a premium quality hair brush and hair comb for infants/babies. This hair Brush and comb is specially designed with soft and gentle bristles. It is ideal for delicate hair and scalp of babies. Features soft and gentle bristles. Explore the entire range of Hair Brushes available on Nykaa. Shop more Vega products here.You can browse through the complete world of Vega Hair Brushes .